Imagine a high-quality composite plug that can be drilled out in less than half the time required by the leading competitor’s. 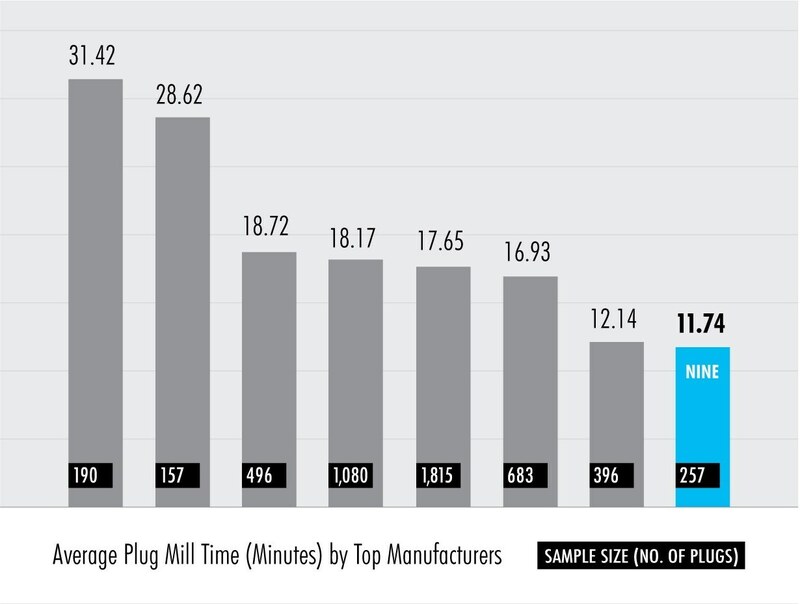 In a recent field test, the Scorpion Composite Frac Plug from Nine Energy achieved an average millout time of 11 minutes per plug, compared to 27 minutes for the market leader on the same project. We won’t name names. Instead of the common filament-based design, the Scorpion Composite Frac Plug features a highly engineered molded design, resulting in exceptionally higher quality.Unlike commonly used ceramic slips, the Scorpion composite also features a unique slip design that reduces the risk of breakage. Usually, operators can drill them out in a single run without having to change the bit, saving substantial time and equipment wear. Engineered from proprietary composite material, the Scorpion Composite Plug is shorter in length than most competitor plugs, allowing it to be drilled out significantly faster—getting you swiftly back to profitability. Scorpion Composite Frac Plugs are among the highest performing frac plugs in the industry. Complete the form and we'll be in touch with you soon.